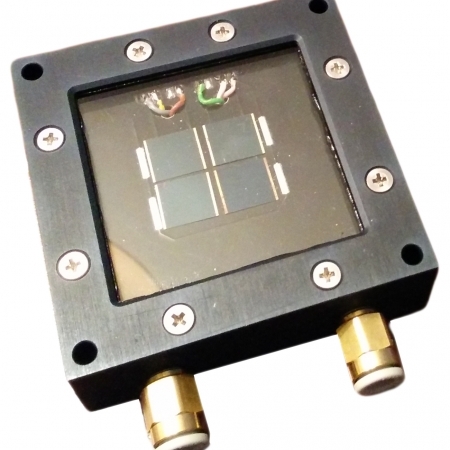 The new Solar Cell IV-Converter is a dedicated source meter to measure and convert the output of a solar (reference) cell without the necessity of an external computer or other instrument. Solar reference cells need to be kept into short circuit conditions to guarantee the best linearity. The active IV converter electronics inside this Solar Cell IV-Converter is designed for this purpose. As a solar reference cell is strongly temperature dependent, a correction is required to the calibrated value at 25°c. The instrument has the ability to measure the reference cell temperature and apply this correction. There are two types of silicon reference cells; shunted and non-shunted. A non-shunted reference solar cell has to be connected by means of 4-wires. 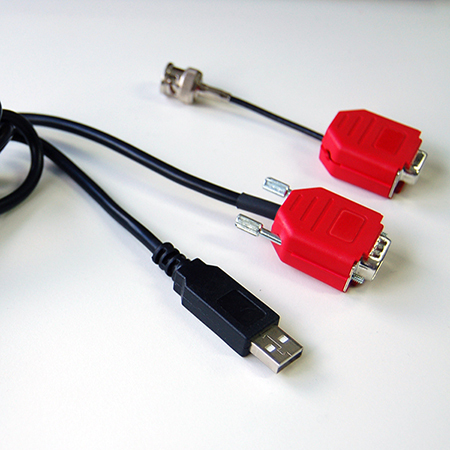 This allows for the elimination of a voltage drop caused by higher currents. Reference solar cells that are shunted output a voltage signal, instead of a current. These cells can be connected to the instrument; however, voltage biasing will be disabled. The instrument can be operated from the 4.3” touchscreen directly, while the USB connector on the instrument allows for PC control. The device integrates directly with ReRa Tracer IV Curve software and a full LabVIEW driver can be downloaded for free. Note that the software is not required to use the instrument. 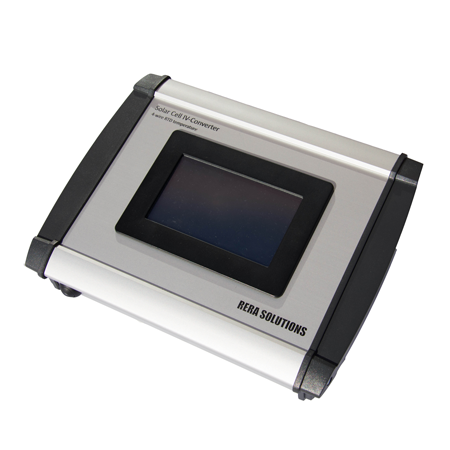 A BNC TTL shutter signal is available on the rear side of the Solar Cell IV Converter to control a solar simulator shutter. 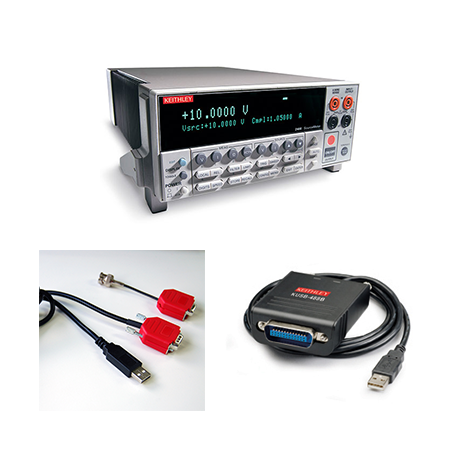 When the instrument is operated by Tracer IV Curve software or the LabVIEW driver, a voltage bias can be set. 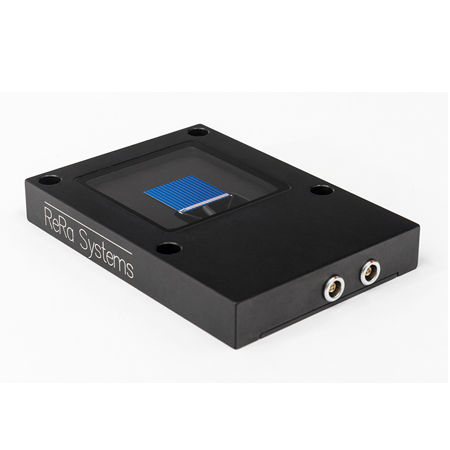 This allows for full IV-curve measurements on solar (reference) cells. 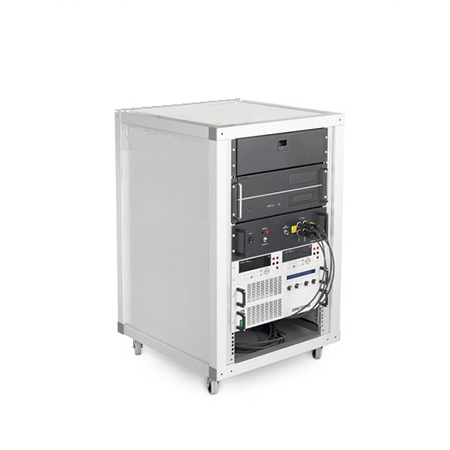 The curves are limited to ±200mA where the voltage range is ±5V, this is most of the time enough for smaller cells used in research and development. 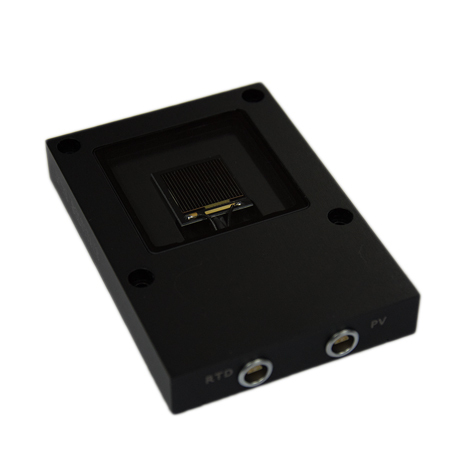 For many applications in the field of solar cell research the IV Converter can replace for example a Keithley Source meter. Power supply output ±15 VDC, ±5 %, +500 mA / −300 mA max.